I am going to ask you a series of questions. This is important, so take your time and think hard before you answer. 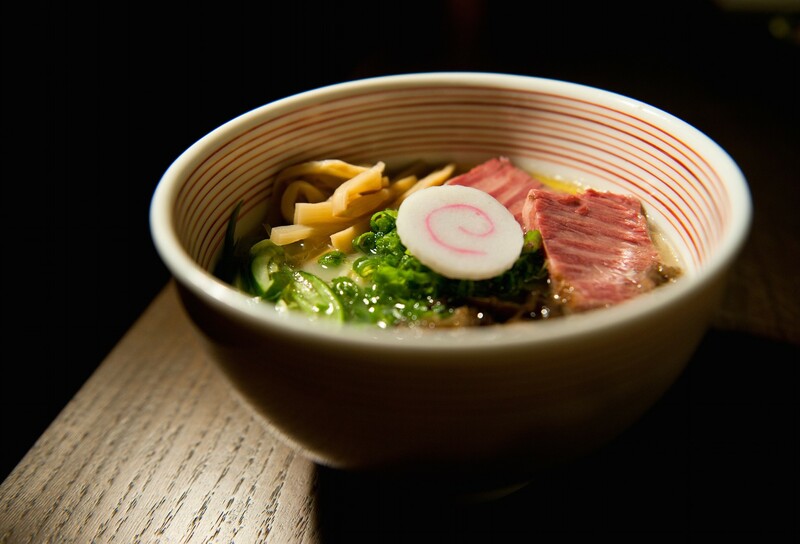 Is Ippudo your favorite place to eat ramen? Do you sometimes wonder what the effects of eating ramen several times a week would have on your well being? Are you interested in learning more about Queens? And I have to call at 3pm to get a same day reservation? All the way out in Long Island City? Why not just hit up any one of the 30 other ramen restaurants currently in my rotation? The soup is also excellent, and it is actually different than the other stuff out there right now. Mu Ramen takes the fat out of their broth after it cools down and rises to the top. Most other Japanese ramen spots do not. The end result is a much cleaner taste that’s still rich and flavorful, and it might not make you want to die so much after eating it. The ramen here is also lighter on the salt, leaving the high quality ingredients to stand up on their own. We appreciate that concern for our health, but what we appreciate most about Mu Ramen is just that it’s fun and different. The hype surrounding the place might have you believe otherwise, but this is really just a neighborhood restaurant that happens to be so good it’s worth traveling for. The question then becomes, when is the best time to go in hopes of landing a seat? Sushi rice, spicy tuna, and salmon roe, topped with uni. Do you really need to know anything else about this? Didn’t think so. Okonomiyaki, a sweet and savory Japanese pancake, is often a big glob of bacon and spicy mayo and probably some octopus. That’s not a bad thing, but Mu Ramen’s take on the dish is infinitely better. A light pancake is topped with smoked trout, maple syrup, tobiko, and even some tiny flower petals. You want this. The namesake ramen is a beef-based broth with delicious brisket (or sometimes house made corned beef), half sour pickle, and some cabbage. It’s definitely a Jewish influenced bowl of soup, and it’s definitely very good. Just know that this won’t have that porky flavor of tonkotsu ramen. Inspired by Ippudo’s Akamaru Modern and very similar except that it feels a little bit less irresponsible. Thanks to the removal of fat from the broth, this one is lighter and more restrained, but still excellent. A must order. Now that we’re making comparisons, this spicy ramen is somewhat similar to the one you’ll find at Ivan Ramen. But again, restraint is the key here. The spiciness is dialed back a bit, just kicking you a bit at the end of each bite. And the broth doesn’t feel so much like bright red sludge. Order with confidence. I have no idea how to explain this creation to you other than to say that they stuffed a boneless chicken wing with foie gras and brioche and then fried it. Why? WHO KNOWS. But it’s an interesting and surprisingly good thing. Try it.